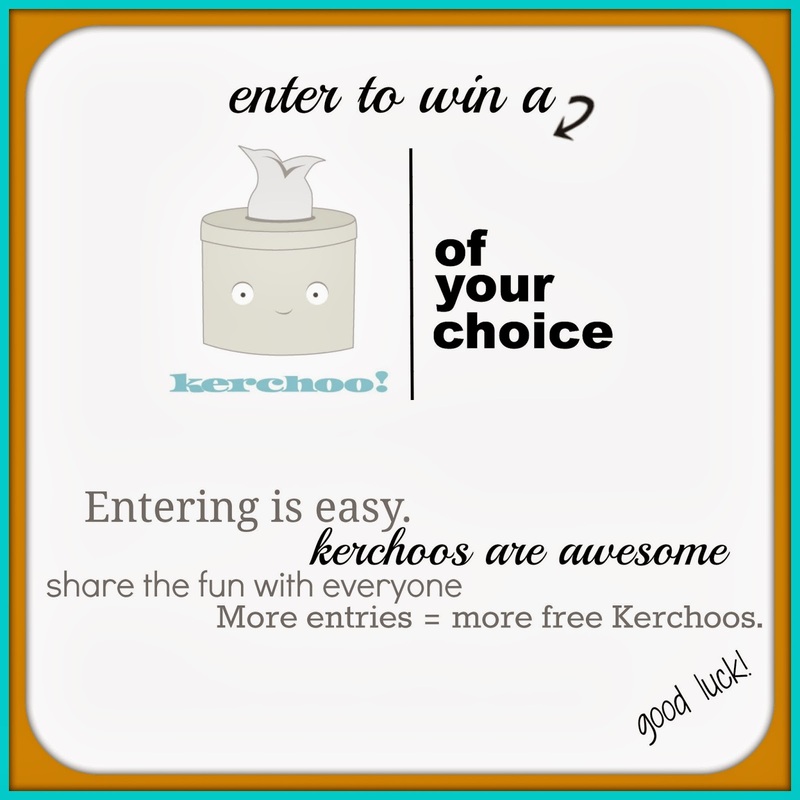 *The Thrifty Home: Kerchoo Giveaway!!! I turn down most giveaway offers on my blog because I don't have time and most of the time I don't really care for the product. When I was asked to do a giveaway for Kerchoo, I didn't even hesitate! This product is genius! 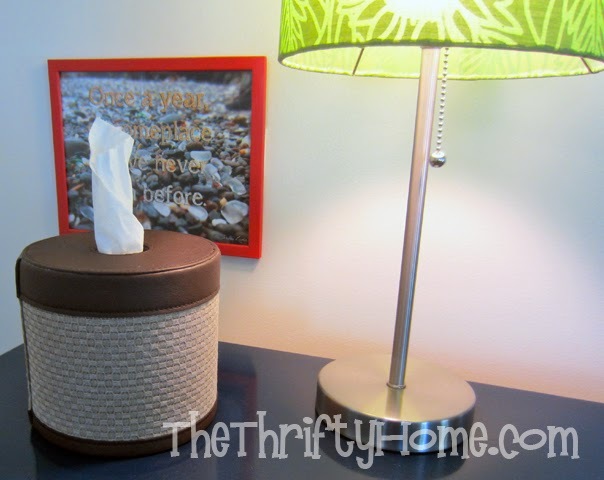 Kerchoo turns a cheap roll of toilet paper into a stylish tissue box that you can proudly display anywhere. They have a ton of really cute designs to choose from, but what I love most about Kerchoo is that they are a small business started up by regular people who had an idea. I love supporting small businesses. Kerchoo lets you use toilet paper (a.k.a roll tissue) as regular tissue anywhere in your home. It really is brilliant, don’t you think? *It’s stylish. Approximately 1.6 million times more stylish than any tissue box ever could be. *It’s eco-friendly. You refill your Kerchoo and only have one tiny cardboard tube to either upcycle or recycle. 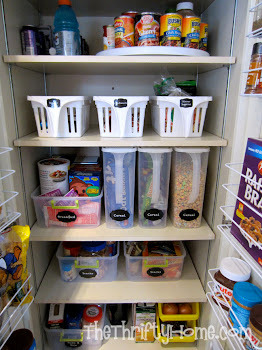 Follow our “Use The Tubes!” Pinterest board for tons of fun ideas. *It’s durable. Our can Kerchoos are all lithographed so that awesome design is there to STAY! Our faux leather Kerchoos are all handmade and easy to clean. 2. Visit http://kerchoo.co/index.htm and choose your favorite Kerchoo. 2. 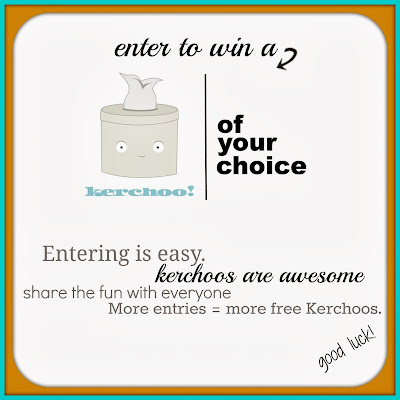 Leave a comment here letting me know that you liked their Facebook page and which Kerchoo is your favorite. 1. & 2. 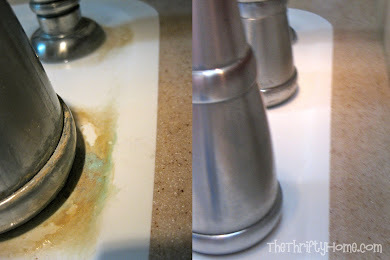 Leave an additional comment if you follow my blog or Pinterest or both. 4. Post this giveaway on Facebook and leave a comment. 5. Pin this post on Pinterest. The more entries, the more winners, so tell your friends! Winner will be chosen November 1st. I love this products as well and I wanted to get couple more, so it would be nice to win one! I "liked" on facebook page and my favorite is Waffle. Liked, and I love tweed! Congratulations! You are the lucky winner! 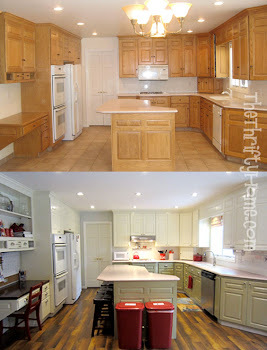 Send me an email at thethriftyhome(at)gmail(dot)com so I can get you your prize. Liked - I think the "Posh" line are nice - "Linen" is my favorite. Chief Task Master at Kerchoo here - for anyone who had trouble with the discount code yesterday, we got our super duper support team to twiddle with it and it should be working now. We apologize for any hassle and are super excited for this giveaway on Jen's awesome blog! Great idea!! I like the Linen design. It would fit anywhere in my home :) FB page liked. I liked it! And I LOVE the linen! Liked it - waffle is my favorite, followed closely by tweed. I liked it, very much! I extremely like the white linen design.. I pinned this neat giveaway. Congrats to the lucky winner! We're excited to get you your Kerchoo! And we'll leave the discount code in place through the end of the month.